The sailcloth is a transparently laminated mesh of white threads. Inside the seams are lined with yellow spinnaker cloth. 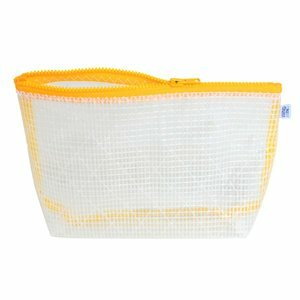 The fabric is water resistant and easy to wipe clean.